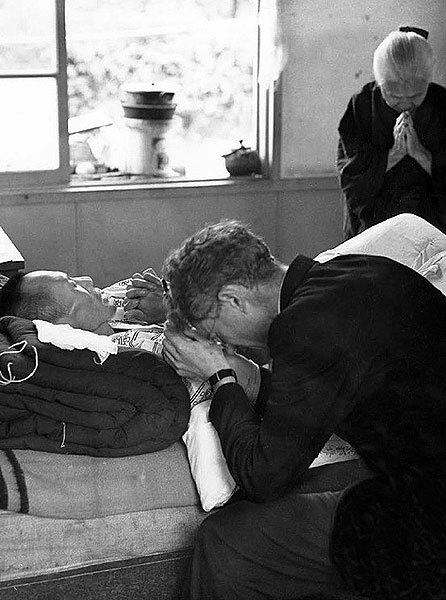 We are a US Catholic order of priests and brothers who, for over 100 years, have modeled itself after the compassion of Jesus in reaching out to those in the world who are the most in need. Grounded in the Gospel of Jesus Christ, the Maryknoll Fathers and Brothers partner with local churches to bring compassion, relief, and the message of God’s love to the poor on the fringes of society. Pope Francis challenges the Catholic Church to create a culture of mission, one in which all Christians respond to their baptismal call to be “Missionary Disciples.” Maryknoll answers this call to mission in the poorest regions of Asia, Africa, and Latin America, and we invite and enable others to answer the call across the US. We create clinics and hospitals, agricultural and vocational training, feed and care for vulnerable children, provide economic empowerment, AIDS ministry, disaster relief, and we bring HOPE and healing to a world of broken spirits. Explore our mission projects. 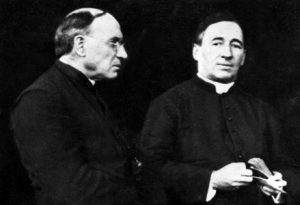 When two American priests from distinctly different backgrounds met in Montreal in 1910, they both recognized that the Church would not flourish until it sent missioners overseas, so began formulating plans to establish a seminary for foreign missionaries. The Maryknoll Fathers and Brothers are one of four entities within the grander Maryknoll organization. To the suffering and marginalized in Asia, Africa & Latin America. We are a community of Catholic missionaries serving overseas in more than 20 different countries of the world. We feed the hungry, heal the sick, and reach out to outcasts across many cultures, languages and traditions. Maryknoll Mission Archives is the official repository of historical records of the Society, the Sisters and Lay Missioners, their corporate affairs, the mission lives of their members and the notable activities of communities in which their members served. In virtue of their baptism, all the members of the People of God have become missionary disciples. As joyful missionary disciples of Jesus the Christ motivated by love and challenged by the Gospel, we reach across borders, geographical and situational, and build bridges of solidarity among the poor and marginalized that reflect God’s merciful love and compassion in the context of a constantly evolving universe. We develop and nurture a spirituality grounded in the mission of Jesus in dialogue with the poor and peoples of diverse religious traditions. Acknowledging our limitations we are sustained through community, mutual support, and life-long intellectual and spiritual formation. We foster this spiritual heritage by creating a culture of vocational promotion and discernment, along with a mission-focused pastoral formation that stresses language learning and acculturation for our younger members. In the spirit of “generativity” on every level, we facilitate and enable others in all local churches, including the US church, to carry out their missionary call and to pass on the Maryknoll tradition, charism and passion for mission. Sensitive to changing contexts we are open to the ongoing renewal of the Holy Spirit who makes all things new. We collaborate with members of the different expressions of the Maryknoll Family, other missionary communities, and local Churches as well as develop networks of partnerships with groups in civil society. We work together to bring about holistic, spiritual, personal, and social transformations locally and globally. We exercise responsible stewardship of the human and financial resources entrusted to us. Stewardship requires concern for the charism we have been gifted with, the integrity of creation and the preferential option for the poor. Therefore, faithful to our Oath to the Society with gratitude to our generous benefactors and the local U.S. Church that sends us on mission, we proclaim God’s saving, reconciling, liberating, and healing message to all peoples.